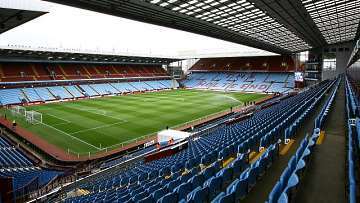 Magpies and Villans: Aston Villa vs Newcastle United match preview | NUFC Blog. “It is important now that we try and keep our momentum and keep our run going. “We knew as a group that we didn’t play particularly well at QPR on Monday, and we rode our luck a couple of times. But our resilience, work rate and commitment was evident, and we just need to tweak ourselves to make sure we pass the ball better and take care of it. “But that is the same with most teams in the Premier League – we are all still finding our feet. “They have got some outstanding individuals and will be a definite threat to us. We have had a really tough set of fixtures, and Aston Villa away is always difficult. There are also a significant number of Toon old boys in the recent arrivals at Villa, with players such as Jermaine Jenas, Charles N’Zogbia and Shay Given to add to existing ex Magpies such as Steven Ireland (just), and also Habib Beye milling around on the sidelines somewhere too. Jenas will miss the game with a thigh injury, but more on that kind of thing in the “Team News” section below. “Newcastle are unbeaten and we’re unbeaten but they have picked up some three-pointers and that’s what propels you up the table – that’s the major difference. “Possibly. We have options with the players that can come in. “There’s some players really champing at the bit to get into the team. May as well get Aston Villa out of the way first, as they have less injuries than we do, with only Emile Heskey (hamstring) and the abovementioned ex Magpie, Jermaine Jenas (thigh) definitely missing the match. Aston Villa’s probable squad: Given, Guzan, Hutton, Herd, Dunne, Collins, Warnock, N’Zogbia, Petrov, Bannan, Delph, Petrov, Ireland, Albrighton, Bent, Agbonlahor, Delfouneso. There are far more injuries on the Newcastle side, which is hardly unusual. Of course the one most in the news at the moment is new signing, Davide Santon, who knacked his knee cartilage in training on Thursday before even making his first team debut. Mike Williamson (broken arm), Haris Vučkić (thumb and wrist), Mehdi Abeid (another knacked knee) and Hatem Ben Arfa (ankle / foot) will all definitely be oot too. Newcastle United’s probable squad: Krul, Harper, Simpson, R. Taylor, Ferguson, Coloccini, S. Taylor, Tiote, Cabaye, Gutierrez, Marveaux, Obertan, Gosling, Guthrie, Smith, Ba, Shola Ameobi, Lovenkrands, Best, Sammy Ameobi. Aston Villa vs Newcastle United match preview and match banter! If Ameobi starts I’m on the pitch. He was a disgrace at QPR. that’ll be 12 men & that’s not allowed. Poor old Habib Beye, one of my absolute favourites until he did an Olivier Bernard and left “for the sake of his career”. The grass is not always greener – if only he’d had the guts to stick it out – better than Simmo. Start Ba or Sammy Ameobi and Best. I can’t stand Shola what an embarrassment. Try Marveaux on the left and Gutierrez on the right. Wouldn’t waste our time playing 442 away again, with 2 wingers. Flood the midfield with players that can go wide as well as through the middle. Or we’ll end up pumping it long to the big lads. I would stick Jonas right instead of left though JP. Let Marveaux roam though, he did that well v scunny (first half). If we’re gonna play Ba, then we have to get compact & spring him over the top, on the shoulder of his defender, as he looks better & seems to score more goals like that. I’m still pushing for 4-5-1 with 2 wingers & Bestie up front. But a comment during the week suggested that Tiote is cramped alongside Cabaye – I’d look closer at this, and possibly drop Tiote back in a 4-1-4-1 “diamond” formation. We need to not just win the midfield but to score regulary from midfield, and we might just have the type of young fast players to make 1-4-1 work – and boy, would it be good to watch! good point the 4141 diamond mate. I thought about that last week, but you reminded me, that’s a form worth trying out. What we need now is an international CF who can score 8 goals in his last 11 games. What would we pay for that record? £7m for a froggie we’ve hardly heard of? Don’t need to – we’ve got one already – he’s called Leon Best! And its about time we got behind the lad and gave him our wholehearted encouragement. Come on Bestie – lets have another against the Villa! I mentioned earlier in the week about perhaps Cabaye (through no fault of his own) is possibly cramping Tiote’s natural style of play. I would be tempted to play Marveaux instead of Gosling as he is quite creative. Possibly a second half sub. Does anyone know which wing Zog plays on as it was the left for us but the right for Wigan. If he plays on the right that would suit the right footed Raylor. Difficult result to predict as both teams are unbeaten. The obvious conclusion is it’s a draw but sadly I think Villa will win but we will come storming back to win at Forest. Sounds good to me, a lot of teams are starting to play like this and seems to give defenders a difficult time. I would like to see us make at least 4 consecutive passes today and refrain from the long ball stuff as well otherwise Villa will turn us over. Bit off the subject but does anyone know of abeids injury?